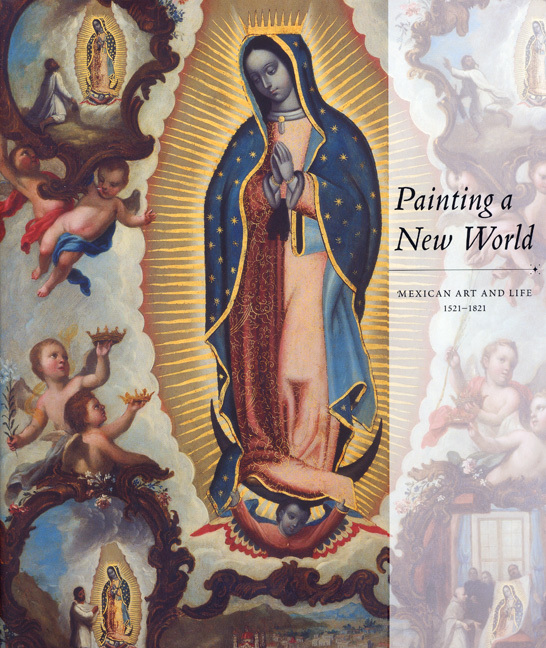 This catalogue provides a much-needed basic yet comprehensive text on Mexican colonial painting. This book is currently unavailable in this format. Subscribe to be notified of availability. In the spring of 2004, the Denver Art Museum opened the largest exhibition of Mexican colonial painting ever assembled outside of Mexico. It included sixty masterpieces from public and private collections in Europe, Mexico, and the United States. This catalogue of the exhibit provides a much-needed basic yet comprehensive text on the subject. The paintings featured in this fully illustrated volume reflect Aztec traditions, imported Asian arts, and artistic styles from various regions of Spain and its territories. They depict the rich diversity of people and cultures in Mexico during this period and have been selected to demonstrate the complexity of Mexican colonial art and society. The writers and scholars contributing to this work are the leading experts in the field today, and they bring fresh insights and concepts to these fascinating and beautiful works of art. Many of the stylistic traditions found in Mexican colonial painting have their roots in the artistic currents of the early modern era, such as the latent maniera of Michelangelo and his followers, the tenebrism of Caravaggio, the classicism of the Carracci school, and the full-blown baroque of Rubens. Many of these imported artistic traditions were creatively assimilated and altered to include distinctive American and Asian characteristics and iconography that resulted in an art of the New World. The contributors discuss these artistic innovations and also draw analogies to the contemporary colonial experience in the United States. To those who know the history of Spanish art, painting in the viceroyalty of New Spain looks both familiar and different. The similarities are easily perceived, for New Spanish painting was based on Spanish, often Sevillian, models. The differences have proved more difficult to calibrate, in part because they have rarely been closely analyzed. The analysis of these differences that I have undertaken here assumes a variety of viewpoints that range from the panoramic to the microscopic. In the broadest sense, New Spanish painting belongs to the political and cultural area known as the Spanish monarchy. The monarchy had global dimensions, including territories in western Europe, America, and the Philippines. Its political dimensions, however, exceeded its cultural dimensions, at least as far as painting was concerned. Unlike other cultural empires such as those of ancient Greece or Byzantium or Islam, in which the center nourished the periphery, Spain received powerful artistic impulses from its European territories, notably Flanders and parts of Italy, and reworked these impulses to suit local conditions of artistic production scattered over the Iberian Peninsula. From Spain, this approach to painting was projected to America, which came to form a crucial part of what may be called the Hispanic cultural area. Once implanted in American soil, the pictorial practices of Spain were altered in the new climate without, however, entirely losing their Peninsular roots. In this sense, New Spanish painting stands in relation to its sources as, for example, the Byzantine art of Russia does to that of Constantinople. This phenomenon, which has been called active transformation, involved changes that occurred as impulses from the outside were adapted to local traditions, conditions, and practices. Within the constellation of artistic centers in Spain, one city is particularly luminous as far as New Spain is concerned. This, of course, is Seville, traditionally known as the portal and port of the Indies, a reference to its status as the seat of the trade monopoly between Europe and Spanish America until the end of the seventeenth century. As the mercantile center of Spain, Seville constantly received artists and works of art from other centers of the monarchy, especially Flanders. Netherlanders, who were subjects of the Spanish crown, were permitted to settle in Seville and participate in the trade with America. Large shipments of inexpensive paintings and prints arrived constantly from Antwerp, where the export of the pictorial arts—paintings, prints, and tapestries—had become big business. Some of these works stopped in Seville, where they had a transforming effect on the practice of painting until the end of the seventeenth century. Many more were forwarded to America. Although the mercantile or large-scale production of paintings destined for export markets in sixteenth- and seventeenth-century Europe has always been known, its existence has been pushed off the pages of art history by the equation of art with originality, if not genius. Enshrined in the monograph and catalogue raisonné, the towering figure of the artist-creator has overshadowed the hundreds of obscure painters who satisfied the insatiable demand for affordable images. These practitioners, however, cannot be excluded from cultural history, where in fact they play a major role. In Spain, the division between artists and artisans was recognized at the time. Self-proclaimed artists sought wealthy, sophisticated clients and the money and prestige that their commissions brought. In Seville, access to this market was controlled in several ways, notably by the painters' guild and by the creation of family dynasties that could span several generations and muster the contacts and finances needed to maintain a workshop capable of producing large altarpieces (retablos), the most prestigious type ofcommission. Painters also formed companies or partnerships in an attempt to dominate the market and maximize financial returns. On the other hand, artisan painters, only a few of whom are known by name, catered to a downmarket clientele, to people of modest or limited means who used images in their daily lives for private devotions and as talismans against adversity. For just a few reales, simple images executed with cheap materials sufficed. Whatever the pretensions of the artist-painters, they were not inhibited from sharing an important proclivity with the artisan-painters. This was the reliance on prints, mostly Flemish prints, as sources for their compositions, a practice introduced in the sixteenth century. While the more ambitious painters recognized that this practice was incompatible with their lofty social aspirations, they still copied away, occasionally borrowing an entire composition, more often making a collage of different sources. The motivations for this practice were manifold. Sometimes it was fostered by sheer admiration for the inventiveness of foreign artists, but sometimes it was required by patrons or, since most of the images functioned within a context of religious instruction and devotion, by a marketplace more concerned with content than form. The omnipotence of the Catholic Church was woven into the fabric of everyday life in ways that can hardly be imagined in the secular world of today. Indeed, the artists of Seville, whatever their standing, were essentially specialists in religious painting. To be sure, a market for landscapes, mythologies, and scenes of everyday life existed, but it was mostly supplied by Flemish producers. In the age of the Counter Reformation, Spain assumed the role of the temporal defender of Roman Catholicism. The battle against Protestantism was fought without fear or favor as if the entire fate of monarchy was in the balance, as in fact it was. Even after the Protestant threat was contained, although not without serious losses, the constraints of Catholic orthodoxy were barely loosened. One consequence of eternal vigilance was the reliance on tried-and-true formulations of religious iconography. Prints were one way of guaranteeing conformity, for they allowed patrons to see what the painter intended to do. And by the very dint of repetition, these formulas became canonical. In essence, this was the system of image production that was transported from Seville across the ocean to New Spain. Up to a point, the structures of colonial rule imposed by Spain on its newly won territory assured the validity and relevance of this system. The monarchy and the church, two dominant entities with many overlapping interests, fostered the replication of Peninsular patterns of governance and thought. In the pictorial arts, replication was initially achieved by the importation of painters. Indigenous artists were of course available, but they had to be closely supervised to curtail the incursion of native motifs, some of which still infiltrated the mural paintings commissioned by the religious orders. The indigenous creators of these murals proved adept at imitating engravings provided by the friars and at mastering European conventions of representadon (see fig. 4). Yet as the sixteenth century progressed, they were not given a chance to compete for major altarpiece commissions, which were monopolized by artists from Spain and Flanders (see fig. 8). The painters' guild founded in 1557, modeled on the example of Seville, did not exclude Indians from membership, but market conditions kept them from achieving parity with the immigrant painters' colony. The money required to organize a team of artists or open a shop (tienda) was beyond their means although they certainly participated in the activities of shops organized by Spanish painters. Thus, to some extent, the production of the Spanish shops may have been partly Indian. The ecclesiastical authorities of New Spain faced artistic challenges of unprecedented dimensions in providing the churches, chapels, shrines, and dwellings of their vast new territory with Catholic imagery. Although the socioeconomic profile of the market for these pictorial images has never been systematically studied, it would appear provisionally to conform to the two-tier pattern established in Seville. The artists supplied images for the upper strata of society—wealthy Peninsulars and Creoles—while the artisans, including Indians, worked for the lower economic levels. However, the market for both artisanal and artistic production was not determined solely by economic criteria; the images had an evangelical function to fulfill. They were active contestants for the sacred spaces of the Indians. The Spanish had fought this battle before against Islam and knew how it could be won. From the start, pictures were imported from Spain and Flanders to meet the demand. As published records indicate, the traffic in pictures was very large, sometimes amounting to thousands per year. It may seem surprising that relatively few of the imports have survived until we remember that cheap pictures had to be made with poor materials and thus were inherently fragile. These paintings not only filled a need but, because they established the norm for how a religious image ought to look, also played a decisive role in forming the conventions of New Spanish painting. Of greater importance in the urban centers, especially Mexico City, which is the focus of my essay, was the production of the local artistpainters who provided pictures for ecclesiastical institutions and the colonial elite. In the stratified society of New Spain, and especially in its cities, the example set by the upper echelons was necessarily compelling, and at the start it was necessarily Spanish. The expectations of the Spanish elite established the forms and formats for the paintings they chose to acquire and commission. To take one obvious example, the customary decoration of the sacred space of the altar was, in imitation of traditional Spanish practice, invariably the retablo, a compartmentalized, gilded architectural framework adorned with painting and sculpture. Nevertheless, paintings produced for this class of consumers were not totally different from artisanal images. Although their quality of workmanship and materials was finer, their formal language was similar. These resemblances occurred not only because the artisans were influenced by the artists but also because both followed prototypes produced in Seville, at least until the painters of New Spain created their own identity in the world of Hispanic painting. By the late seventeenth century, this new identity had crystallized. The emancipation from Peninsular models was a slow process. Spanish painters began to arrive in New Spain as early as 1538, the date when the almost mythical Cristóbal de Quesada set foot on Mexican soil. No works by him have been identified, nor have any been attributed to other painters of this pioneering generation. The story begins, therefore, with Simon Pereyns (d. 1589), a painter of Flemish origin who arrived in the viceroyalty in 1566, and the Sevillian Andrés de Concha (d. 1612), whose date of arrival was around 1570. The disparate origins of these two artists would seem to negate the possibility that they had much in common. However, from about 1550 to about 1630, painting in Seville was profoundly shaped by Flemish painting and especially by that strain known as Romanism, a Flemish brand of Italian Renaissance classicism personified by the Antwerp masters Frans Floris (1519/20-1570) and his follower Marten de Vos (1532-1603). Pereyns, to a greater degree, and Concha, to a lesser, are characteristic practitioners of the Romanist manner as it was interpreted in Seville. A comparison of Pereyns's Virgin of the Pardon, c. 1584-85 (fig. 26), and Concha's Holy Family , 1590 (cat. 6), with a painting of about 1580 by their contemporary in Seville, Pedro Villegas Marmolejo (fig. 65), demonstrates the commonality of their approaches. Also rooted in this style is Baltasar de Echave Orio (1558-c. 1623), who was born in the Basque region and is known to have spent time in Seville before his departure for Mexico, where he is first documented in 1582. Echave, who was to live in New Spain for forty-one years, has long been recognized as a leading player in the formation of viceregal painting. He was the founder of the first important dynasty of New Spanish painters and a precocious proponent of the dignity of his art. His engraved portrait, which serves as the frontispiece of his defense of the Basque language (published 1607), displays his coat of arms and depicts him in the dual role of gentleman-artist and learned painter (fig. 6). These aspirations did not go unnoticed; in 1619, the archbishop of Mexico City, Juan Pérez de la Serna, turned to Echave to act as censor for what he believed were unacceptable licenses being taken by local painters. Echave emerges as the New Spanish counterpart to Francisco Pacheco (1564-1644), the learned painter of Seville now best known as the teacher of Velázquez. The parallel can be extended to their approach to painting. The understanding of Echave's artistic profile has been distorted by a putative connection to high mannerism (maniera), a phenomenon that barely appeared in New Spain or even in Seville, for that matter." (The exception in Seville, of course, is Luis de Vargas, who died in 1567.) Like Pacheco, who was only six years younger, and several contemporaries (for example, Jerónimo Ramírez and Juan de Uceda), Echave was fluent in the Flemish-inflected pictorial language of late-sixteenth-century Seville (see fig. 29, cat. 7). The most important Spanish painter to work in New Spain was Alonso Vázquez (active 1588-1607), who spent the last few years of his life in Mexico City. Unlike others who came from Spain, Vázquez was a mature artist when he decided to accompany the new viceroy, Juan Mendoza y Luna, marquis de Montesclaros, to Mexico City. His career in Seville is fairly well studied, and there is no doubt that he was among the city's most prominent painters at the time of his departure. The many existing paintings in Seville (his surviving production in Mexico is disappointingly small) show him to be an accomplished master of the Sevillian Romanist school. It is always supposed that he was influential in spreading this style to the painters of Mexico City. This supposition may be plausible, although it should be remembered that what he brought to the scene was not new. The immigration of Vázquez to Mexico City deserves further comment. Vázquez had risen to the top of his profession in Seville and thus was not a typical immigrant. Although the number of Spanish painters who moved to New Spain in the 1500s is quite substantial, most were either young or relatively inconspicuous. This is not surprising because the incentives were not great and a painter could make a good living from the American market by exporting his pictures without exporting his person. The dangers and uncertainties of traveling to, and settling in, a strange land were a powerful deterrent. Even Vázquez's privileged position as a member of the new viceroy's household was only a short-term insurance policy, for a viceroy's tenure was limited. Thus, it was usually the untried and perhaps the unsuccessful who were willing to gamble on America. Representatives of Spanish painting, but not the best Spanish painting, they unintentionally brought a stripped-down version of the prevailing manner and thus put New Spanish painting on a different footing from its Spanish sources. In any event, by the time of Echave Orio's death around 1623, the services of the Spaniards were no longer required. A local school was beginning to take form. Echave marks the point at which the painting of New Spain begins to diverge from the painting of Spain. He died the same year that the young Diego Velázquez (1599-1660) moved to Madrid, leaving behind in his native Seville a body of revolutionary works in the new naturalist style. Over the next decade, these paintings would make a deep impression on such Sevillian artists as Francisco de Herrera the Elder (c. 1590-1656), Alonso Cano (1601-67), and Francisco de Zurbarán (1598-1664). Their decisive turn away from the Romanist mode was at best an episodic occurrence among the painters in Mexico City. Both Luis Judrez (active 1610-39) and Baltasar de Echave Ibia (active 1625-44), the son of Echave Orio, continued to explore, with greater refinement and energy, the legacy of Echave Orio and Vázquez. In addition, as has often been noted, Echave Ibía thoroughly assimilated the esthetic of Flemish landscapes painted on copper for export. The related question of the incorporation of Sevillian naturalism into New Spanish painting at midcentury is vexed and complicated. One sign of confusion is the disagreement about how naturalism was brought to the viceroyalty. It is unlikely that its harbinger was, as some argue, Sebastián López de Arteaga, who arrived in Mexico City in 1640. Despite the clear connection of his Incredulity of Saint Thomas (cat. 15) and Six Apostles (Museo Nacional de Arte) to Francisco de Herrera the Elder, there is no other painting in his admittedly small oeuvre that resembles Herrera's. Another hypothesis would trace the introduction of naturalism to works sent to America by Zurbarán and his workshop. None of these works, however, is documented as having come to New Spain, and Zurbarán is, in fact, a fugitive presence in the workshops of Mexico City (his influence in Puebla is easier to detect). It is true that figures drawn from his repertory pop up now and again as, for example, in José Juárez's Adoration of the Kings (fig. 75) and Baltasar de Echave Rioja's version of the same subject in Davenport, Iowa (cat. 21). José Juárez and Pedro Ramirez flirted with this more rustic manner from time to time, yet in none of these cases is there the degree of consistent devotion to naturalist tenets that would indicate a true conversion. Echave Rioja's monumental paintings in the sacristy of the Puebla cathedral (see fig. 32) harbor no memory of his Adoration of the Kings done sixteen years earlier (cat. 21). There is a sense that the painters and patrons of New Spain considered the naturalist option only to reject it. By the middle of the seventeenth century, the cumulative weight of a half-century of practice had resulted in the formation of a local tradition developed from the Romanist style of Seville cultivated in the late sixteenth and early seventeenth centuries. Its hallmarks, as seen in the most ambitious works, are heavily robed figures wrapped in sculpturesque drapery folds arranged in complex surface patterns; meticulous technique; vivid colors; restrained expressions of emotion; clear, demonstrative gestures; pronounced emphasis on glances of the eye to establish communication between figures; and complicated but static compositions. A painter from Seville who arrived in Mexico City around 1650 would have perceived immediately the differences between the local painters and those he had left behind. Pictorial conventions that had waned in Seville were still in practice. The past was not only present, it was alive and kicking and being exploited in ways that he could not have conceived. This is not to say that New Spanish painting was immutable, for this set of ideas and practices was significantly modified in the last quarter of the century. It is curious that these changes can no longer be linked primarily to Seville. In the 1650s, two younger Sevillian painters, Bartolomé Esteban Murillo (1618-82) and Juan de Valdés Leal (1622-90), began to cultivate a new, dynamic approach to the art, traces ofwhich are not detectible in Mexico City, where their works seem barely to have been known. A better case has been made recently for the impact of the younger painters of Madrid, notably Francisco Rizi (1614-85) and Juan Carreño de Miranda (1614-85). However, their importance pales beside that of Peter Paul Rubens (1577-1640), whose compositions were widely circulated in prints and paintings on copper. The fascination with the fertile pictorial imagination of the great Flemish master was initiated in Spain in the 1650s, surely stimulated by the wholesale importation ofworks by Rubens and his workshop begun by Philip IV in the 1630s. Thus stamped with the royal imprimatur, Rubens's paintings became unquestionably prestigious and irresistibly attractive. Paintings based on his compositions appear in the work of New Spanish painters at virtually the same time as in Spain although his influence in Mexico reached its apogee in the last two decades of the century. By extracting certain ideas from Rubens's compositions, the most original and vibrant painters of the Mexican seventeenth century, Juan Correa (see cat. 27) and Cristóbal de Villalpando (see cats. 24-25), created works that are a virtual manifesto of the New Spanish school of painting. If a single moment and a single monument can be chosen to signify the consolidation of a distinctively New Spanish painting, it would be the decoration of the sacristy of the cathedral of Mexico City created by Villalpando and Correa between 1684 and 1691 (figs. 12, 35, 45). In these six paintings—four by Villalpando, two by Correa—comparisons to Spanish painting become secondary. The very idea of adorning the walls of the sacristy with monumental mural paintings executed in oil on canvas is unknown in Spain although Baltasar de Echave Rioja had employed this decorative scheme in 1675 for the sacristy of the Puebla cathedral. Echave Rioja's canvases there multiply the scale many times over of engravings after Rubens's tapestries for the convent of the Descalzas Reales, Madrid (see fig. 32), an idea Pedro Ramírez used earlier in works executed for the cathedral of Guatemala (c.1673). In one of his murals for the sacristy of the Mexico City cathedral, Villalpando also follows Rubens's model although with much greater liberty than his predecessors. The sources that lie behind the creation of these exuberant murals by Correa and Villalpando have been calibrated with some precision—the well-established conventions of New Spanish painting that had been in the process of formation since the days of Echave Orio are energized by the dynamic compositions of Rubens and the sketchy execution of the late-seventeenth-century Madrid painters. But what counts most and makes everything mesh is the synthesizing powers of these two masters, particularly the explosive energy of Villalpando. The iconography of this vast cycle exhibits the same inventiveness. Although they make selective use of engravings after Rubens and De Vos, the paintings blend many voices into a polyphonic hymn dedicated to the triumph of the secular (non-monastic) church. This concise description, however, hardly does justice to the imaginative interpretation of fundamental Catholic themes. The Woman of the Apocalypse (fig. 35), one of the less complicated subjects, is a good example of how Villalpando interpreted the ideas of his patron. The painting is based on the text of Revelation 12. Saint John stands in the lower right corner holding a book and a pen as a theatrical spectacle unfolds before his eyes. In the center is the radiant image of the Woman of the Apocalypse, here converted into the Virgin Mary by virtue of her traditional attributes, which are held by the putti. She is the "woman clothed with the sun, with the moon under her feet, and on her head [she wears] a crown of twelve stars" (Rev. 12.1 Revised Standard Version). The following verse reveals that she is about to give birth. Although threatened by a dragon "with seven heads and ten horns and seven diadems upon his head," the Woman resolutely delivers a male child (Jesus Christ) who, wrapped in swaddling clothes and held by two angels, is "caught up to God and his throne" (Rev. 12.5). This scene, rare in European painting, appears in New Spanish painting of the sixteenth century and is repeated thereafter with some frequency. In the lower register, Villalpando has painted the seven-headed dragon, the incarnation of Satan, who breathes smoke from its nostrils as the Archangel Michael and his angelic host launch an aggressive attack. In a literal footnote, on a ribbon running beneath the Virgin, the relevant biblical text is cited in Latin (Rev. 12.7). The paintings in the sacristy of the cathedral of Mexico City are the culmination of a long process of assimilation and experimentation with the conventions of Hispanic painting. They open the door to the confident, self-assured art of the eighteenth century in which New Spanish painting becomes an even more complex hybrid of venerable ideas and iconographies depicted in a Hispanic baroque style that will be refreshed and refined by further contacts with Europe (see fig. 9). In devising the sacristy's complex imagery, Villalpando and Correa collaborated with their patrons. While the authorship of the iconographical program is not fully established, it is known that two of the pictures were paid for by members of the cathedral chapter—the Triumph of the Eucharist (1686) by the archdeacon Nicolás Felipe Legaspi Velasco, the Virgin of the Apocalypse (c. 1685-86) by Ignacio de Hoyos Santillana, head of the cathedral school (maestrescuela). Both belonged to the Creole elite that was assuming an ever more prominent role in viceregal society. Indeed, the paintings exemplify that pregnant moment in the history of New Spain associated with the sociopolitical phenomenon called criollismo that emerges in full force in the last quarter of the seventeenth century. The Creoles, people of Spanish descent born in New Spain, were in an inherently conflictive position. They relied on the Spanish crown to maintain a political structure that protected them while excluding them from the highest offices. These were reserved for Peninsulars appointed in Madrid. Increasingly during the seventeenth century, the Creoles sought to distance themselves from Spain while not cutting their ties. In the narrow space available for maneuver, cultural products played a key role in identity formation, which was based on the concept of differentiation without dissociation from peninsular models. The evangelists of this position are the scholar Carlos de Sigüenza y Góngora (1645-1700) and the famous poet Sor Juana Inés de la Cruz (1651-94), and its visual exponents, as has been recognized, are Villalpando and Correa. In the visual arts, Creole identity formation would take many turns. Paintings were used to narrate and exalt a newly invented history of New Spain around the figures of Cortés and Moctezuma, who were manipulated into playing the roles of the founders of a new realm in which Creoles and Indians might co-exist. Distinctive artistic media derived from Mexico's contacts with eastern Asia, such as the folding screen (biombo) and shell inlay (enconchado), were fostered. And, most significantly, the cult and image of the Virgin of Guadalupe was promoted by the multitude of paintings that reproduced the miraculous work created by God and revealed to his humble servant the Indian Juan Diego. Appealing in different ways to the Creole, mestizo, and Indian populations, the Virgin of Guadalupe was the glue that held together the diverse elements of New Spain and who came to represent the mixed identity—part Spanish, part American—of that society and the painting that expressed its aspirations.